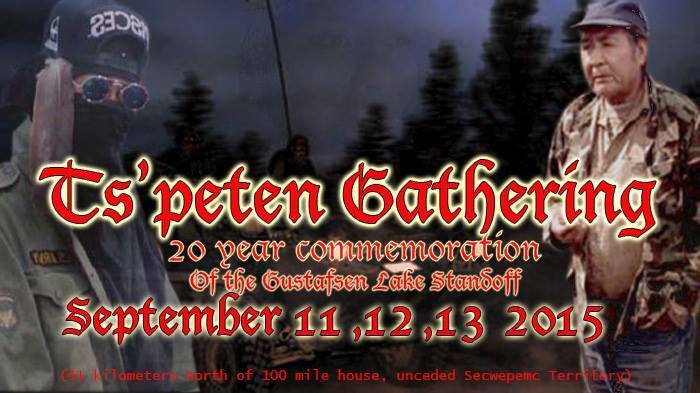 Secwepemc gather at Ts’Peten for 20 year anniversary gathering of 1995 siege, near 100 Mile House, ‘BC’. We are back in range. On the 20 year commemoration of the Ts’peten Standoff, the protectors, the defenders return to remind and remember. These are our war heroes, these are our war stories, we must hear them, we must listen to them, we must pass on these things to our next generations. 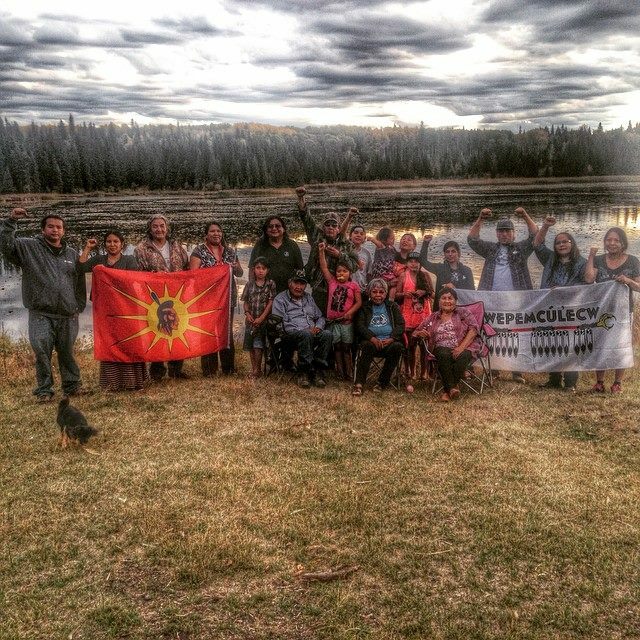 Twenty years ago, brave indigenous land defenders in so called British Columbia, squared off with the Royal Colonial Mounted Police, in the Secwepemc territory of Ts’Peten, colonially known as Gustafson Lake. Comic book artist and indigenous historian Gord Hill, recounts these events in five minutes. 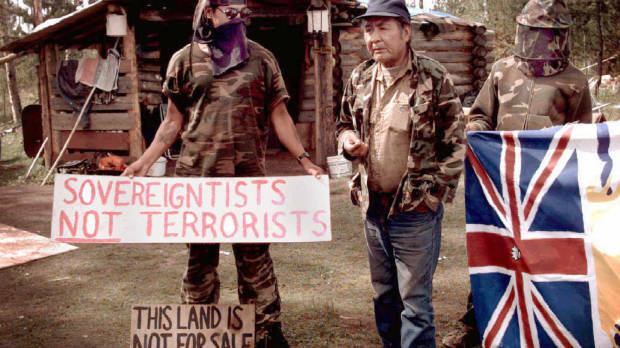 Secwepemc elder Wolverine (in middle) during 1995 siege at Ts’Peten (Gustafsen Lake, BC). In the summer of 1995, a month-long standoff occurred between Indigenous peoples & police near 100 Mile House, in the southern-interior region of British Columbia (BC). This land is the ancestral homeland of the Secwepemc (Shuswap).